Little Devils kids race is recommended but not limited to ages 4 to 12 and we encourge parents to run along take photos and encourage the little devils (no cost to parents). Parents can also do the course with the kids. Wave times start at 9am and go every 30 minutes after that, you will be allocated the wave you chose at booking (9am Wave times will not change from the one you chose unless you are notified. 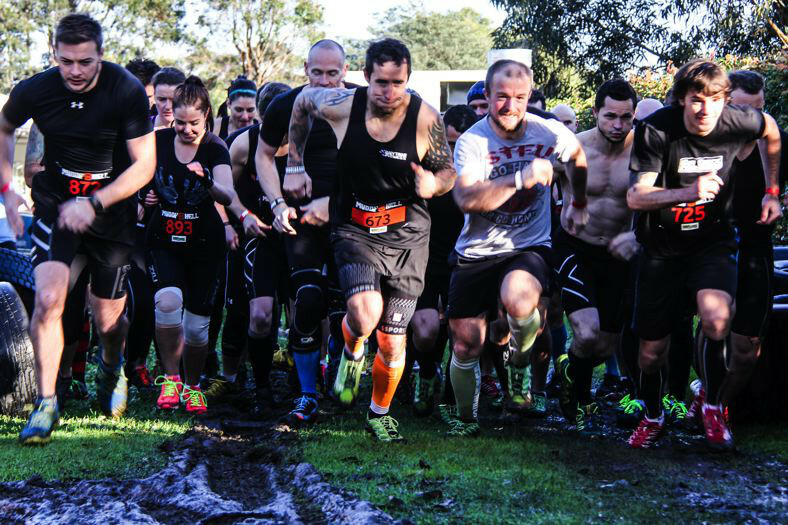 Waves are of 200 participants unless a group purchase is arranged with Muddy Hell, groups should book early to avoid disappointment and make sure kids get to run together. Due to the nature of running events Muddy Hell can not provide cancellations or refunds of tickets for any reason. Tickets can be transferred to another person or a future event, tickets will only be transferred to a future event if a valid medical certificate is provided showing a legitimate physical injury (ie, not sick, flu etc). Transfers to future will not be granted because your schedule has changed or you become unavailable on the date. All inquiries to transfer to a future event must be received at least 72 hrs before the event begins and must include the medical certificate. Parking is available at Pakenham Racecourse. Look for the Muddy Hell flags on the day. Parking cost is a gold coin donation to the local CFA who will assist in the car park on the day.